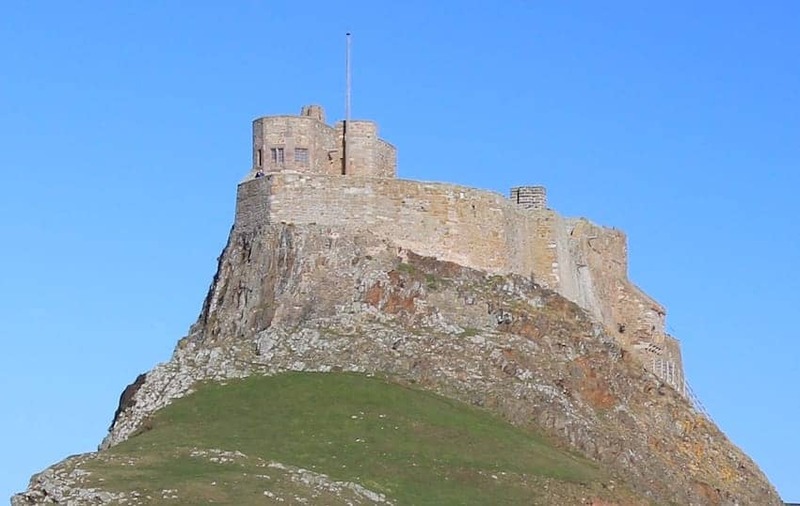 Lindisfarne Castle is a 16th century castle located on Holy Island near Berwick-upon-Tweed, Northumberland. The island is accessible from the mainland at low tide by means of a causeway. The castle sits on the highest point of the island. It is very small by castle standards and was really more of a fort. In 1901 Edward Hudson, the owner of Country Life magazine had the castle refurbished in the Arts and Crafts style by Sir Edwin Lutyens. The walled garden, which had originally been the garrison's vegetable plot was designed by Gertrude Jekyll and is now restored to her original planting plan.